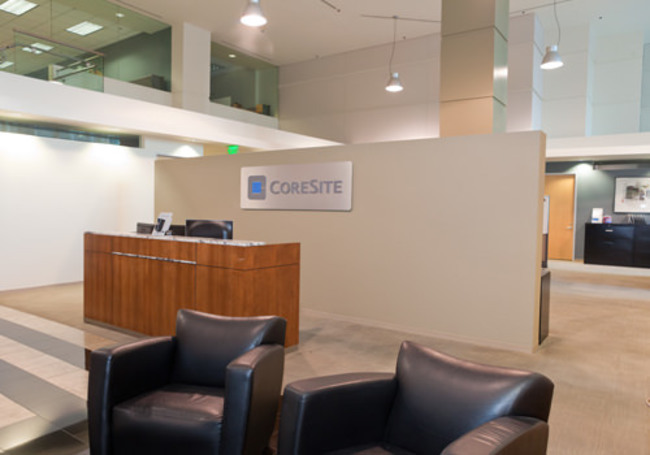 Ownership: CoreSite does not own the building. CoreSite's Any2 IXP (Peering Exchange) is the largest public IXP in the Western United States. The Unity Trans-Pacific submarine cable, also lands in the building, which provides undersea connectivity to Asia. CoreSite's LA2 site at 900 N Alameda is connected via dark fiber bundles to LA1. If space is short at LA1, one can expand at LA2 and connect back to LA1 via an extended fiber Cross Connect. Colo Resellers in CoreSite and/or One Wilshire. These providers can sell in smaller increments than a full cabinet.